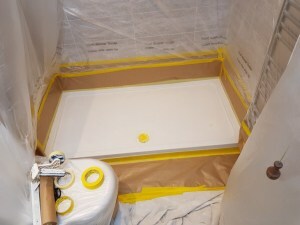 Shower tray resurfacing is a popular and hassle-free method to renew your shower pan in less than a day! 100% satisfaction feedback. 5 star google and fb reviews. Friendly, tidy and same day service. Written warranty and fully insured for up to £2m. no disconnect or unplumb required. minimum disruption. 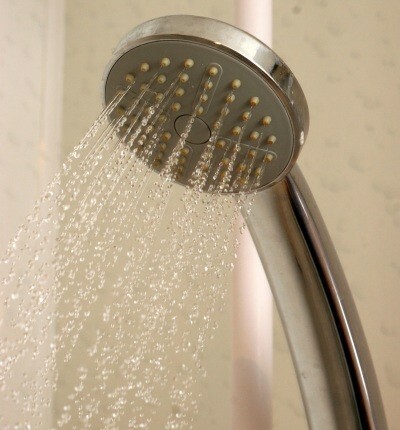 New look of your shower base in a matter of hours. Most of the common problems with acrylic, porcelain or a stone cast shower trays can be sorted with the one-day quality service I offer! Think of a wasted time and hassle when you discover that along with a damaged shower base replacement you must also pay for the tiler, plumber, and builder…it will not be just a quick installation and cost of a new shower base will be the least of your problems. Unless you plan an entire bathroom refurbishment, I would like to introduce you to the less problematic solution when it comes to a damaged shower tray repair. 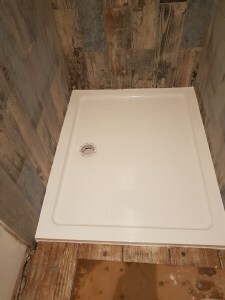 The shower base resurfacing is a one day service, no disconnecting, moving or unplumb is usually required. The service is very similar to bath resurfacing (if you haven’t been there yet, I strongly encourage You to read it first). The principals for repair are mainly the same, and materials used are often common, so think of it as a smaller version of my main service – bath resurfacing. a new concept for your bathroom ware, entire bathroom refurbishment. Choosing between a new shower base and shower repair. So all the above is an authentic cost of replacement. What do I do differently? I work with existing surface and give it a ‘new skin’ in about 6-8hrs, doing all the work in the same day avoiding all the extras that I pointed just before. Can I save every damaged shower base? As with everything, some things are to last a lifetime and others are made from cheap materials and it’s not always possible to make it last. Depends on a damage the solution can be as minimum as a small cosmetic repair or even cleaning/polishing the top surface or a full resurface is a right treatment. I don’t always try to offer to resurface as the best solution – I warranty my repairs so have to be sure that I will not waste our time with something that won’t last anyway because it’s structurally beyond repair. If you already have questions in your head regarding the condition of your shower tray and what it needs, here’s the good news – my survey is free of charge! I’m always happy to answer the questions and advice what in my opinion would suit you best, let’s chat please, and thank you for reading it!